The re-engineered 2014 Ram Power Wagon will get a new frame, bigger tires and a five-link coil suspension to improve on-road performance and off-road ability. 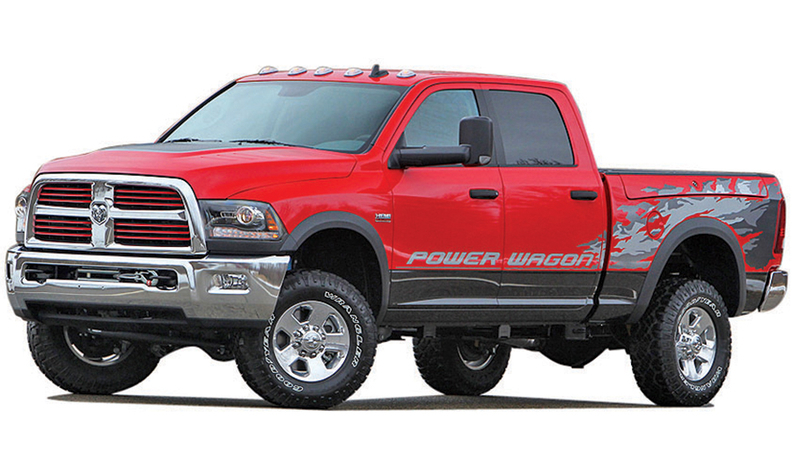 The Power Wagon is based on a Ram 2500 heavy-duty pickup but is designed to go off-road. The 4x4 features Chrysler Group’s 6.4-liter Hemi V-8, producing 410 hp and 429 pounds-feet of torque, combined with a six-speed transmission. The 2014 Power Wagon will ride on 33-inch Goodyear Wrangler DuraTrac tires, which give the pickup 14.5 inches of ground clearance, 21 percent more than the standard Ram 2500. A new high-strength steel frame has eight crossmembers to improve rigidity and handling.